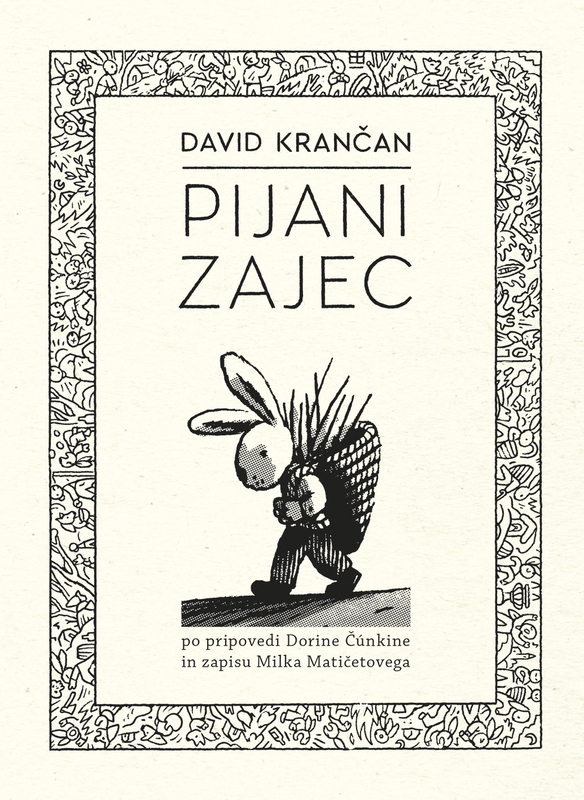 The spotlight of the new comic book by David Krančan is on the drunken rabbit, an unusual character in a folk tale from the famous Zverinice iz Rezije collection (Beasties from Resia; the tale was narrated by Dorina Čúnkina and written down by Milko Matičetov). 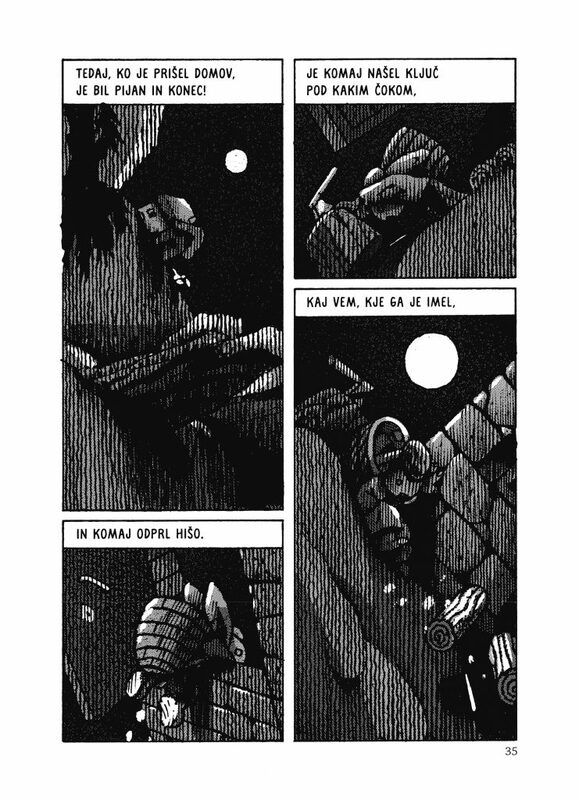 After the comics story Grdina (Uggly, 2014), Pijani zajec (Drunken Rabbit) is Krančan’s second excursion into the field of folk literature from Resia Valley. Again, the artist has reached into the content and adapted this product of folk imagination according to the spirit of the current times: from the pattern of a classic tale to an adventurous parable on the human nature. Krančan employs his thought-out and lively artistic imagination to create meaningful stories that question the world we’re living in. The narrative is created in a distinct visual style characterized by meaningful details and skilful framing, but above all by a special feel for a communicative and dramaturgically solid storytelling. 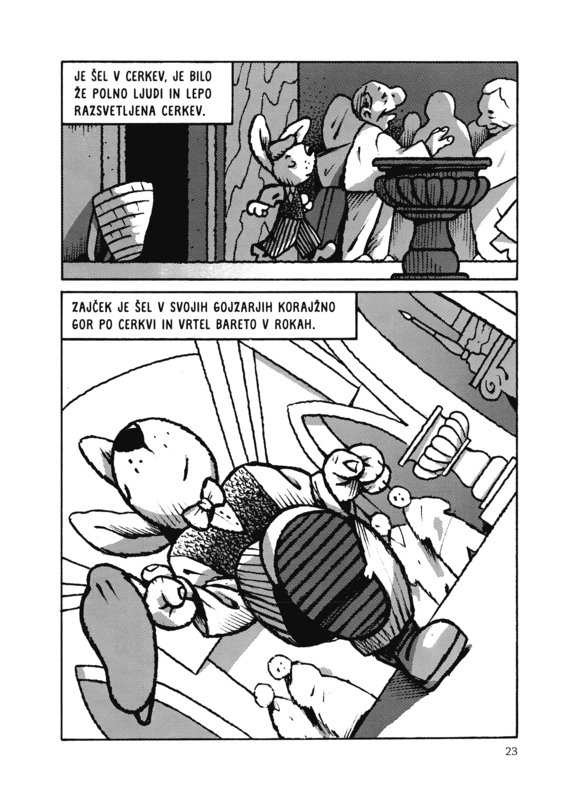 Pijani zajec (Drunken Rabbit) received the award for the most beautiful comic book at the 31 st Slovene Book Fair. DAVID KRANČAN has been a member of the editorial team at Stripburger for more than a decade. 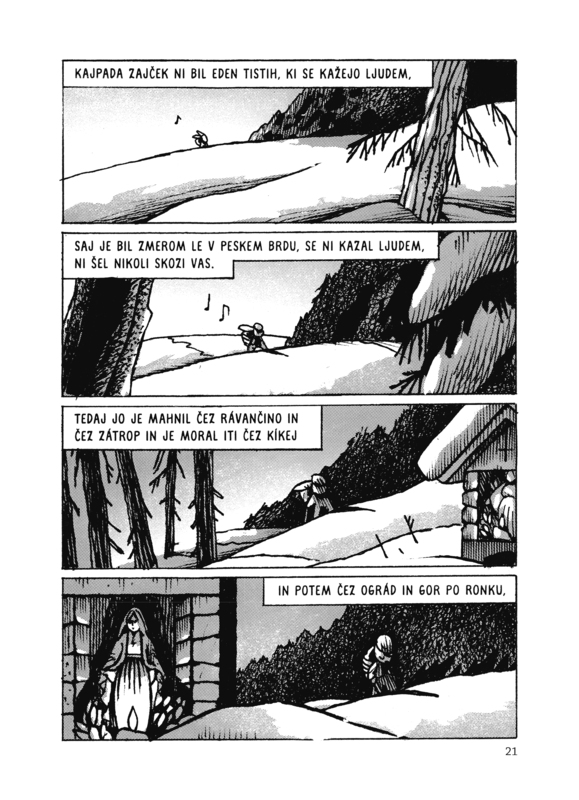 He co-created (with Andraž Polič) a book of comics haikus titled Na prvem tiru (On the First Track, 2008). His illustrations are regularly published by newspapers and magazines in Slovenija (for example on the cover of Dnevnik’s Objektiv). 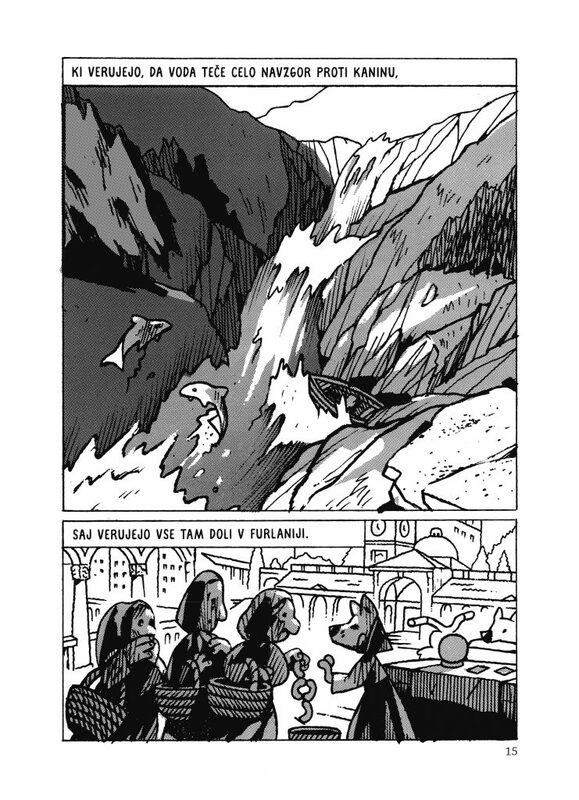 His works often focuses on the exploration of the borders of the comics medium. Recently he created a comics book for children titled Grdina (Uggly, 2014). He’s also regularly mentors different comics workshops. The issue was co-funded by Javna agencija za knjigo RS (Slovenian Book Agency).